← Big Five in One Drive ! Hi Chris, What a sweet surprise to see a Serval… Awesome! Too cool! The serval at the Nashville Zoo is one of my favorite shots. Great pics, my favorite has to be the Rhino and his mud bath. He looks very happy, almost like a kid at Christmas. Hope you get to relax alittle on your time off. Have you started teaching classes there., if so thats great, I’m sure everyone would enjoy them very much. Have A Great One. Hi, was at Thanda for Graeme and Julie’s wedding on the 13/04. 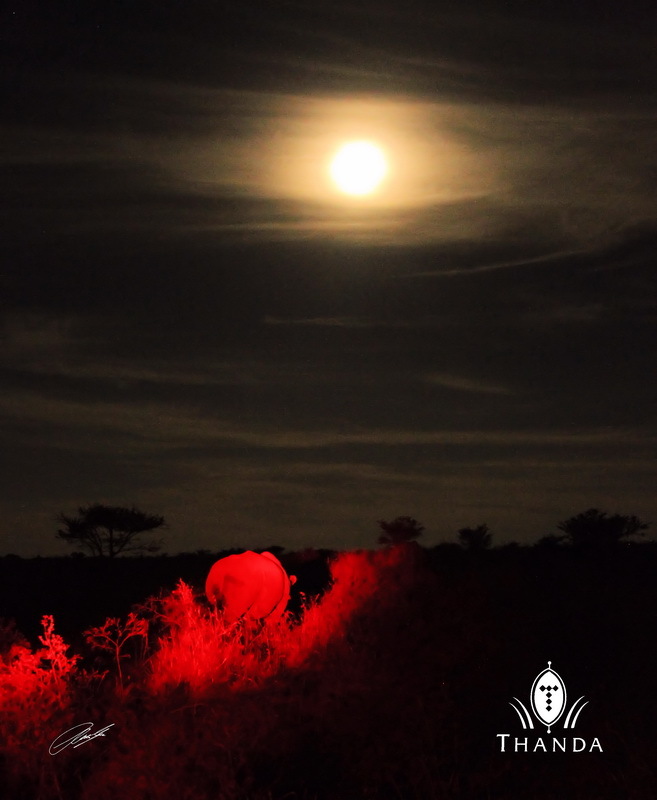 Derek and I were totally blown away by the whole Thanda experience. Everything was fantastic the staff were great they couldn’t have done enough for us. The accommodation was out of this world and as you know everything went well. Can I also say that your photography is fantastic. I had followed your photographs on Facebook a few weeks before we arrived in Thanda and I am still following your photography now we are home. Keep up the good work it must be an amazing place to work. I love the rhino photo! 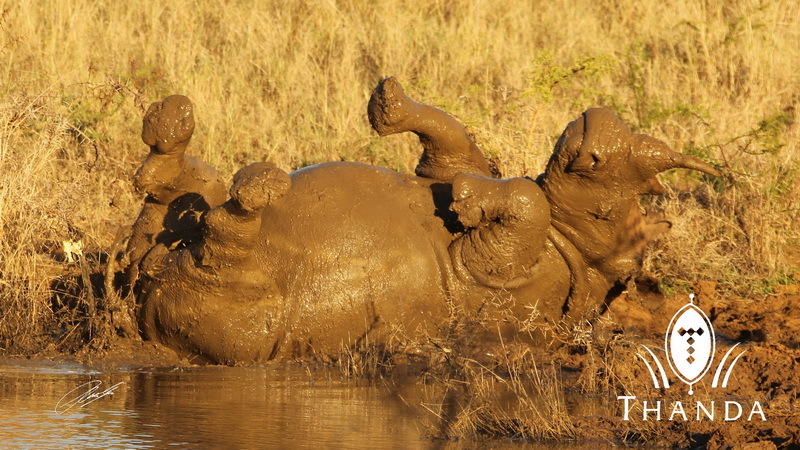 Definitely submit the rhino in a mud bath photo to some kind of nature photography competition – too cute!